Vienna has been named the city with the best quality of life for a 10th consecutive year in a survey published Wednesday. 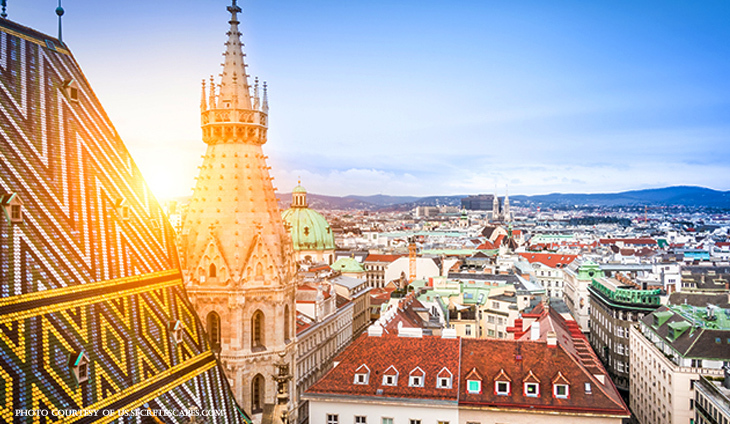 The Austrian capital was one of eight European cities in the top 10 in the survey by Mercer, a human-resources consultancy. In second place was Zurich, followed in joint third place by Munich, Vancouver and Auckland, New Zealand. Duesseldorf in Germany took sixth followed by Frankfurt, Copenhagen, Geneva and Basel. London was ranked 41st and Paris was 39th, although the study, carried out between September and November 2018, did not take into account France’s ‘yellow vest’ anti-government protests. The survey, designed as a tool to help international organisations determine salary levels for expatriate employees, is based on 39 criteria. These include housing, political stability, crime, leisure, air pollution, infrastructure, the health system, education and the economy. Mercer said all US cities covered in the analysis fell in the rankings this year, with the exception of New York, which rose one place to 44 as crime rates there continue to fall. San Fransisco was the top-ranked US city at 34. In Asia, Singapore has the highest quality of living at 25th place, followed by Tokyo and Kobe (joint 49th). Hong Kong was ranked 71st and Seoul 77nd. At the other end of the table, the lowest ranked city was Baghdad at 231. Bangui, capital of the Central African Republic, and Sanaa in Yemen were 230th and 229th respectively.